[S396] Wanda Norvell Flynn, 26925 Cougar Pass Rd., Escondido, Rt. 6, Calif. 92026, letter to Roger Bartlett, 13 Mar 1998, (naming George Norvell as his father). [S396] Wanda Norvell Flynn, 13 Mar 1998 letter, above, (naming Louisa _____ as his mother). [S396] Wanda Norvell Flynn, 26925 Cougar Pass Rd., Escondido, Rt. 6, Calif. 92026, letter to Roger Bartlett, 13 Mar 1998, (naming George Norvell as her father). [S396] Wanda Norvell Flynn, 13 Mar 1998 letter, above, (naming Louisa _____ as her mother). [S396] Wanda Norvell Flynn, 26925 Cougar Pass Rd., Escondido, Rt. 6, Calif. 92026, letter to Roger Bartlett, 13 Mar 1998. [S396] Wanda Norvell Flynn, 13 Mar 1998 letter, above, (naming Nancy Hudnall as his mother). Birth*: He was born on 4 March 1934 in San Antonio, Bexar County, Texas. [S408] Emmett L. Whitsett, Jr., San Antonio, Tex., descendancy chart for Frances Mary McFadin Pullen sent to Roger Bartlett, 26 Mar 1998 (naming Travis Whitsett Bain as his father). [S408] Emmett L. Whitsett, Jr., 26 Mar 1998 descendancy chart, above (naming Zelma Middleton as his mother). [S408] Emmett L. Whitsett, Jr., 26 Mar 1998 descendancy chart, above (not giving the date). [S976] The Dallas Morning News, Dallas, Tex., online at http://www.dallasnews.com, 31 Jul 2014 (obituary of Travis Whitsett Bain II) (stating that they were married for fifty-two years). [S976] The Dallas Morning News, Dallas, Tex., online at http://www.dallasnews.com, 31 Jul 2014 (obituary of Travis Whitsett Bain II) (stating that he died after a brief illness). [S976] The Dallas Morning News, Dallas, Tex., online at http://www.dallasnews.com, 31 Jul 2014 (obituary of Travis Whitsett Bain II). Marriage*: He married Matilda Kyser. Marriage*: She married Alexander Bain. [S438] Edward Lynn Williams, electronic mail to Roger Bartlett, 2 Nov 1998 (not giving the date). [S742] John Stovall, electronic mail to Roger Bartlett, 7 May 2002. Other Names*: Roxana M. Sessions Lackey, Roxana Lackey, Roxey Sessions, Roxey Sessions Lackey, Roxey Lackey, Roxie Sessions, Roxie Sessions Lackey, Roxie Lackey. "Mrs. Roxie M. Lackey, aged 84 years, long-time resident of Rice, died at her home in Rice Saturday afternoon [February 20, 1943]. "Funeral services were held from the Haynie Memorial Methodist church at Rice Sunday afternoon at 2 o’clock with burial in the Rice cemetery. The rites were conducted by the Rev. Mr. Hightower. 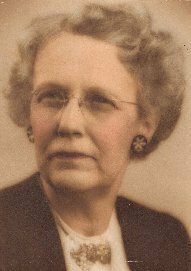 "Mrs. Lackey was a sister of the late Mrs. Laura P. McGee of Rice and Corsicana and the late Mrs. W. D. Haynie of Rice. "Surviving are a son, J. P. Lackey, Rice; a grandson, Lieut. J. P. Lackey, Jr., Lexington, Ky; a sister, Mrs. H. P. Barkley, Ennis; a brother, Dr. I. P. Sessions, Rockdale, and a number of nieces and nephews. "Pallbearers were T. D. Queen, Tom Fortson, S. F. Swafford, L. Roy Hall, J. K. Bradley, L. M. Pollan, J. B. Bradley, A. C. Hervey and Balfour Clark. [S961] Find A Grave, online at http://www.findagrave.com, memorial for Roxana M. Sessions Lackey, memorial no. 10367404, viewed on 24 Dec 2013 (naming Isaac B. Sessions as her father). [S440] Navarro County Cemetery Records, vol. 4 (Corsicana, Tex. : The Navarro County Gen. Soc'y, 1985), p. 86 (giving the year but no other information). [S1207] Corsicana Daily Sun, Corsicana, Tex., online archive at http://corsicana.newspaperarchive.com, 22 Feb 1943, p. 6, col. 5 (obituary of Mrs. Roxie M. Lackey) (not giving the date but stating that she was 84 years old when she died on 20 Feb 1943). [S961] Find A Grave, online, above, memorial for Roxana M. Sessions Lackey, memorial no. 10367404, viewed on 24 Dec 2013. [S7] Navarro County, Texas Marriages, vol. 1, 1846-1888 (Corsicana, Tex. : The Navarro County Gen. Soc'y, 1987), p. 88 (giving her name as "Roxie M. (Roxannie) Sepion" and citing Navarro County, Texas Marriage Records, vol. 5, p. 135). [S961] Find A Grave, online, above, memorial for Roxana M. Sessions Lackey, memorial no. 10367404, viewed on 24 Dec 2013 (not giving the date or place). [S1207] Corsicana Daily Sun, Corsicana, Tex., online archive, above, 22 Feb 1943, p. 6, col. 5 (obituary of Mrs. Roxie M. Lackey) (stating that she died at her home in Rice, Texas on Saturday afternoon). [S440] Navarro County Cemetery Records, vol. 4, above, p. 86 (common stone with John A. Lackey) (not giving the date). [S1207] Corsicana Daily Sun, Corsicana, Tex., online archive, above, 22 Feb 1943, p. 6, col. 5 (obituary of Mrs. Roxie M. Lackey). [S961] Find A Grave, online, above, memorial for Roxana M. Sessions Lackey, memorial no. 10367404, viewed on 24 Dec 2013 (not giving the date). [S1207] Corsicana Daily Sun, Corsicana, Tex., online archive, above, 22 Feb 1943, p. 6, col. 5 (reprinted here with consent of the Corsicana Daily Sun). [S440] Navarro County Cemetery Records, vol. 4, above, p. 86 (stating that she was the daughter of J. A. and R. M. Lackey). [S961] Find A Grave, online, above, memorial for John Poitevent Lackey, memorial no. 92911899, viewed on 24 Dec 2013 (naming Roxana M. Sessions Lackey as his mother). [S440] Navarro County Cemetery Records, vol. 4 (Corsicana, Tex. : The Navarro County Gen. Soc'y, 1985), p. 86. [S961] Find A Grave, online at http://www.findagrave.com, memorial for Roxana M. Sessions Lackey, memorial no. 10367404, viewed on 24 Dec 2013 (not giving the date or place). [S440] Navarro County Cemetery Records, vol. 4, above, p. 86 (common stone with Roxana M. Lackey). [S961] Find A Grave, online, above, memorial for John Poitevent Lackey, memorial no. 92911899, viewed on 24 Dec 2013 (naming John A. Lackey as his father). Other Names*: Elvie Sessions, Elloie Sessions Barkley, Elloie Barkley, Elvie Sessions Barkley, Elvie Barkley. [S399] Obituary of Laura Sessions McGee, online at http://tinyurl.com/LauraMcGee, viewed on 19 Jul 2011. Other Names*: Isaac Sessions, I. P. Sessions. • His Find A Grave memorial, which includes a picture of his tombstone, is http://www.findagrave.com/cgi-bin/fg.cgi?page=gr&GSln=mcgee&GSfn=john&GSmn=murray&GSbyrel=all&GSdyrel=all&GSob=n&GRid=43799665&df=all&;here. [S961] Find A Grave, online at http://www.findagrave.com, memorial for John Murray McGee, memorial no. 43799665, viewed on 7 Sep 2016. [S961] Find A Grave, online, above, memorial for Mary Frances Johnson McGee, memorial no. 43799644, viewed on 7 Sep 2016. [S961] Find A Grave, online, above, memorial for Marylyn McGee, memorial no. 43799878, viewed on 7 Sep 2016 (naming John Murray McGee as her father). [S961] Find A Grave, online, above, memorial for John Murray McGee, memorial no. 43799665, viewed on 7 Sep 2016 (naming John Murray McGee as her father). Other Names*: Mary Frances Johnson McGee, Mary Johnson McGee, Mary Frances McGee, Mary McGee. [S961] Find A Grave, online, above, memorial for Marylyn McGee, memorial no. 43799878, viewed on 7 Sep 2016 (naming Mary Frances Johnson as her mother). [S961] Find A Grave, online, above, memorial for Mary Frances Johnson McGee, memorial no. 43799644, viewed on 7 Sep 2016 (naming Mary Frances Johnson as her mother). [S961] Find A Grave, online at http://www.findagrave.com, memorial for Marylyn McGee, memorial no. 43799878, viewed on 7 Sep 2016 (naming John Murray McGee as her father). [S961] Find A Grave, online, above, memorial for Marylyn McGee, memorial no. 43799878, viewed on 7 Sep 2016. Other Names*: Charles Sessions, C. M. Sessions. [S938] A Memorial and Biographical History of Ellis County, Texas (Chicago, Ill.: Lewis Pub. Co., 1892), p. 287 (giving his name as C. M. Sessions and naming Isaac B. Sessions as his father), reprinted in Ellis County History (Waxahachie, Tex. : Ellis County Historical Museum & Art Gallery, Inc., 1972). Marriage*: He married Mary Marshall. [S405] Ray Moot, electronic mail to Roger Bartlett, 8 Mar 1998. Marriage*: She married John Estes. Rosalie Williams McCorkle, courtesy of Audrey Vodehnal. • Her memorial on Find A Grave, which includes an obituary, is here. [S961] Find A Grave, online at http://www.findagrave.com, memorial for Rosalie Williams McCorkle, memorial no. 38204163, viewed on 24 Sep 2011. [S406] Mary Jo Deaver, "McCorkle Families," in A History of Coleman County and Its People, vol. 2 (Coleman, Tex. : The Coleman County Hist. Commission, 1985), pp. 893-95, (giving her name as Rose Fredrick). [S961] Find A Grave, online, above, memorial for Ray Bartlett McCorkle, memorial no. 38167827, viewed on 24 Sep 2011. [S961] Find A Grave, online, above, memorial for Betty Jo Mcorkle [sic] Lee, memorial no. 38161101, viewed on 24 Sep 2011 (naming Rosalie Williams McCorkle as her mother). [S961] Find A Grave, online at http://www.findagrave.com, memorial for Mary F. Whitsett, memorial no. 68715207.